In a move threatening to divide neighbours in a small Cree village in Quebec, residents are being asked to vote on whether a traditional powwow should be allowed to go ahead. The first ever Waskaganish Traditional Gathering powwow is planned for Sept. 21-23. However, late last week, the local band council insisted a wider consultation was needed. "I feel that it's not fair," said Susan Esau, one of the powwow organizers. "The laws protect Indigenous people and their ceremonies. Why would we go against the law in our [own] community? I don't understand." Waskaganish has a population of just over 2,400 and is home to five churches — Pentecostal, Anglican, Evangelical, Baptist and Catholic. It is located more than 1,100 kilometres north of Montreal on the shore of James Bay. 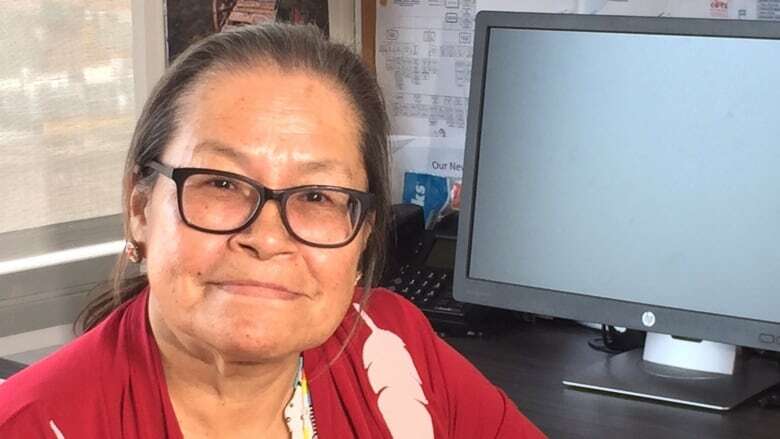 Esau says that while Waskaganish is a deeply Christian community and she's not surprised by the opposition, she is taken aback by news of a referendum. "I knew there would be some conflict, but not as far as a referendum," said Esau, adding she feels people are reacting out of fear. "People fear something they don't understand." During the late 1800s and early 1900s, the Canadian and American governments outlawed a variety of traditional Indigenous ceremonies, including powwows. In Canada, the 1876 Indian Act restricted Indigenous peoples' right to conduct cultural and spiritual ceremonies and wear traditional outfits. Esau says she believes that legacy — and that of residential schools — is part of the source of the opposition. She's encouraging people to keep an open mind. "I believe that if we hold our powwow and people see what it does and that there's nothing to fear, maybe they'll change their idea of what it is." The band council said in a news release that it has "all the authority to decide on matters" on its lands and is justified because both the local elders and youth councils have expressed concerns about the powwow over the last several weeks. "Given the opposition of the Elders' Council and the Youth Council to the holding of the event... The council then chose to consult the community," the release says. "As this matter is very important it is imperative that we hear from our people." It's not clear why the councils oppose the powwow. Repeated requests for comment from Chief Darlene Cheechoo have not been returned. Both the Youth Council Chief, Conrad Blueboy, and Elders' Council member William T. Hester declined to comment. Reaction to the announcement was met on social media with criticism, with people saying the local council has gone too far. Matthew Mukash, a former grand chief of the Cree Nation, said in a Facebook post that he hopes people will keep an open mind. "Each one of us is different, and our ideas [and] beliefs are different," he said in the post. "This is a good thing and it must be respected. We do not always have to fight over our beliefs [and] views. Let's let love and compassion take the lead." Esau says many people in the community were asking for a powwow and were looking for different ways to heal from traumas. She says since news of the referendum broke, people from well beyond the boundaries of the Cree Nation are now promising to attend. Organizers have the blessing of the tallyman, a Cree land steward managing the land where the event will be held, who is vowing to hold the powwow regardless of the results of the referendum. "This is another way for some of us that still are in the process of healing," said Esau. "Participating, whether it's dancing singing or drumming." "I thought that was a good way to unite the people."